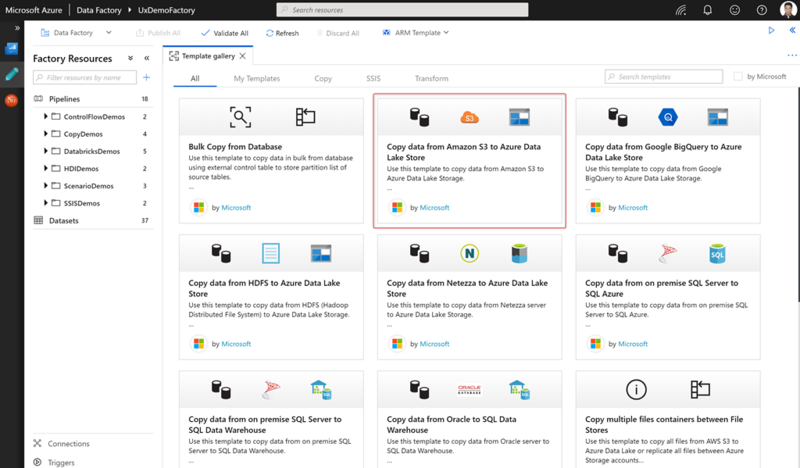 Cloud data integration helps organizations integrate data of various forms and unify complex processes in a hybrid data environment. 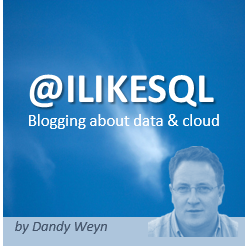 A number of times different organizations have similar data integration needs and require repeat business processes. 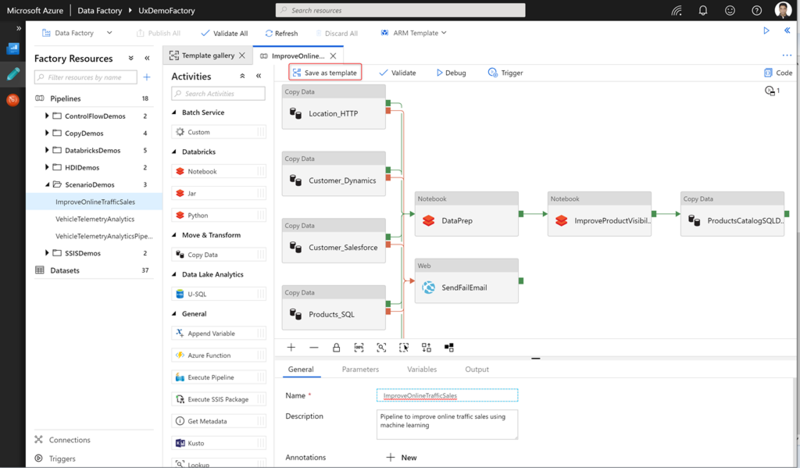 Data Engineers or data developers in these organizations want to quickly get started with building data integration solutions and avoid building same workflows repeatedly. 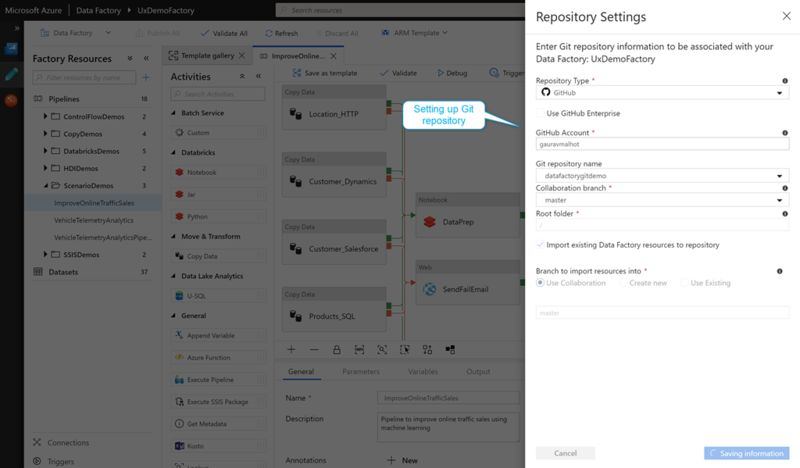 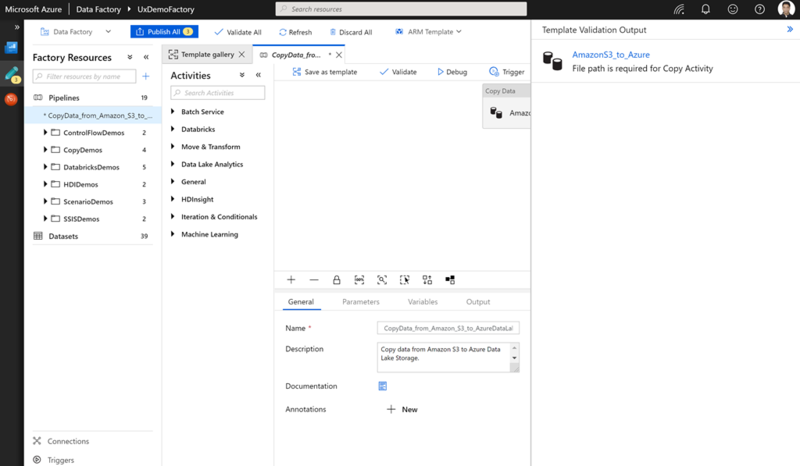 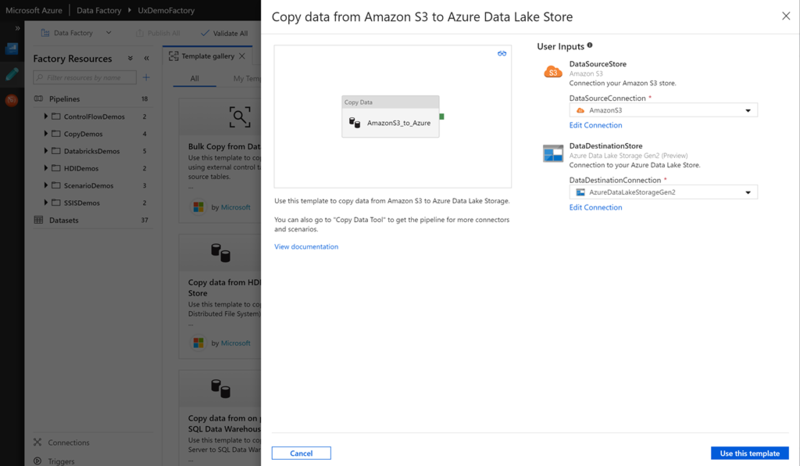 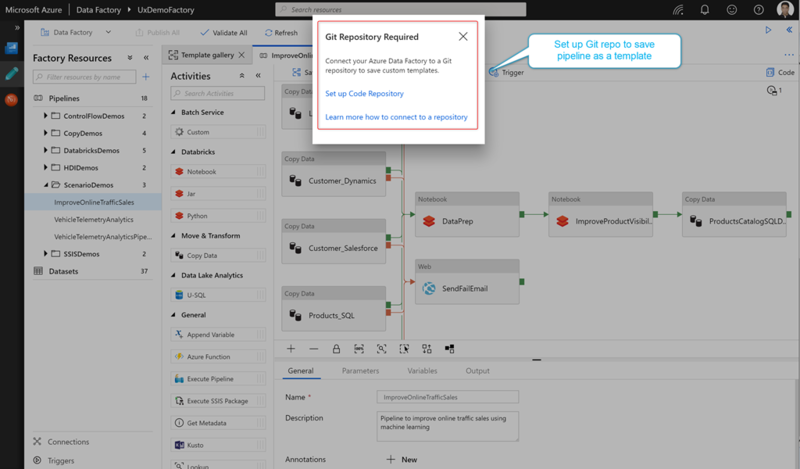 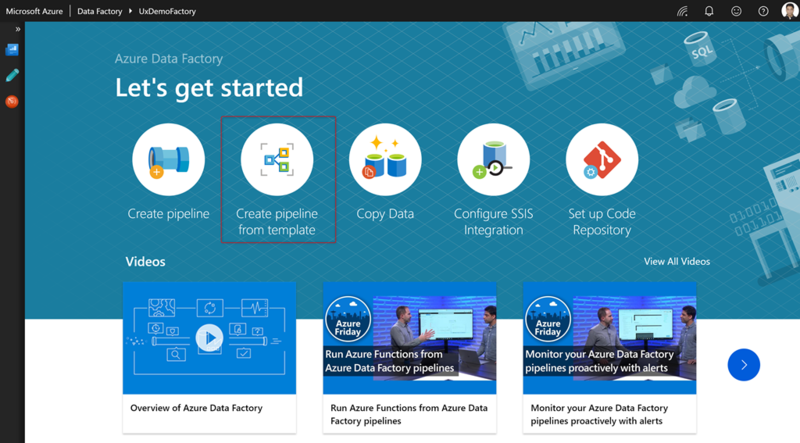 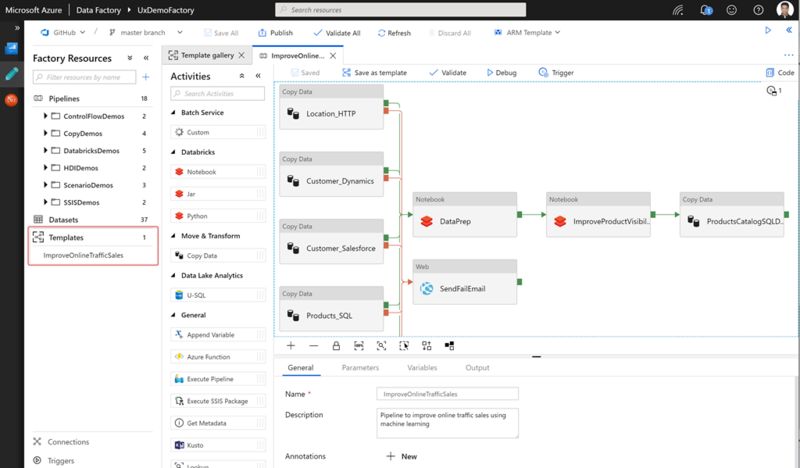 Today, we are announcing the support for templates in Azure Data Factory (ADF) to get started quickly with building data factory pipelines and improve developer productivity along with reducing development time for repeat processes. 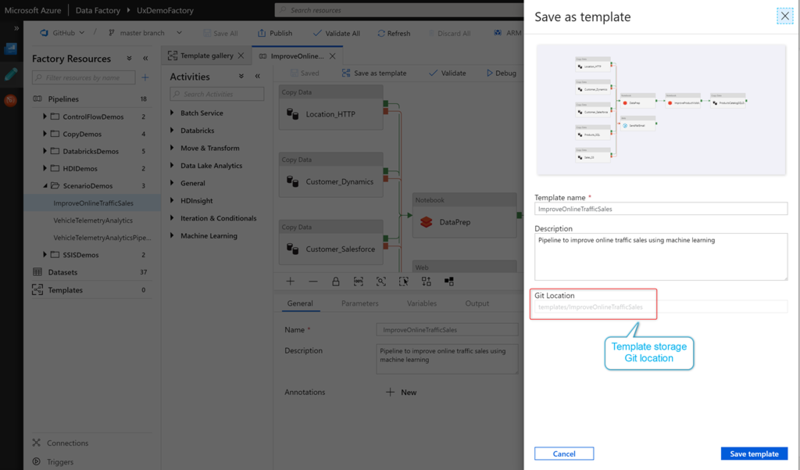 The template feature enables a ‘Template gallery’ for our customers that contains use-case based templates, data movement templates, SSIS templates or transformation templates that you can use to get hands-on with building your data factory pipelines.